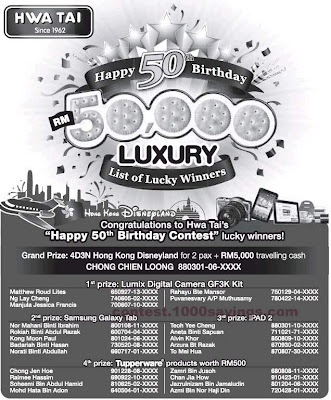 This is the winner list of Hwa Tai Happy 50th Birthday Contest. 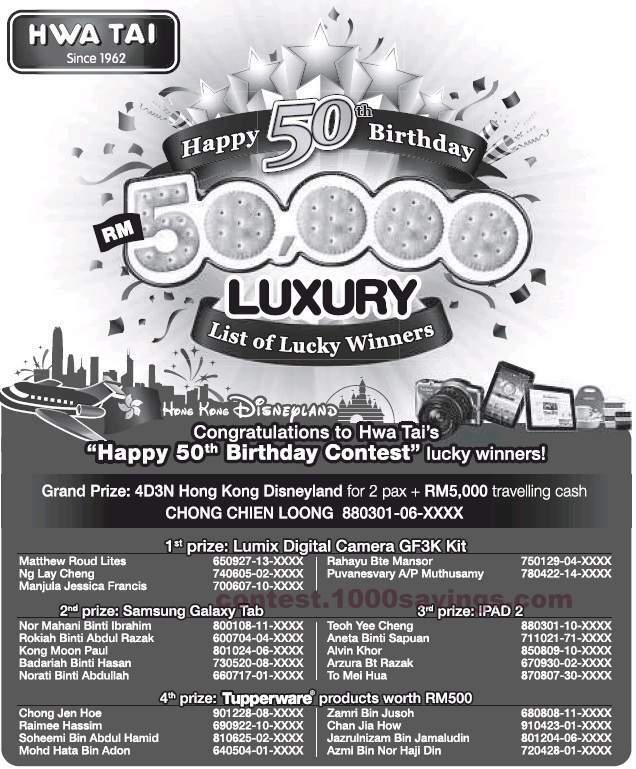 Click here to view the detail of Hwa Tai Happy 50th Birthday Contest. To all crazy fans of Gangnam Style. Time for you to visit and see how's the city like in Seoul!